What he wanted was to freeze people so that we could then thaw them and cure them from death in the future. He is now the first suspended client of Cryonics Institute and the “manifest destiny of science” holds his legacy under frozen suspended animation. At the age of 92, when he died from respiratory failure, Ettinger was then frozen in the hope that in the future someone can thaw him and cure him of what killed him in the first place. He also froze two of his wives and his mother. Cryonics is low-temperature preservation. There are presently three cryonics service providers in the world: Alcor Life Extension Foundation Inc. (in Arizona, US), Cryonics Institute (Michigan, US) and KrioRus (Moscow, Russia). Cryopreservation is becoming increasingly popular. Alcor already had over 1,000 patients as at 2015. Cryonics recorded more than 100 in 2013, while KrioRus reported over 50 patients in 2015. Although most are from the Russian Federation and the US (with Californians being the primary clients), there are also over 100 international clients from all over the world. Under current law, a patient must be legally dead before being cryogenically preserved, usually within 15 minutes. These warehouses store bodies upside down, in liquid nitrogen, in various states of disassembly. Because ice crystals damage cells, modern methods – and they vary – includes vitrification at -196°C. In vitrification – which means ‘to turn into glass’ but in this case means keeping the cells in a state of slow animation – more than 60 per cent of the water inside the cells is replaced with DMSO (dimethyl sulfoxide), propylene glycol and a colloid. This completely prevents freezing during deep cooling. Although not yet reversible – no one has ever been de-vitrified and survived – the process remains the last hope of resuscitation. Pets can also be cryopreserved. 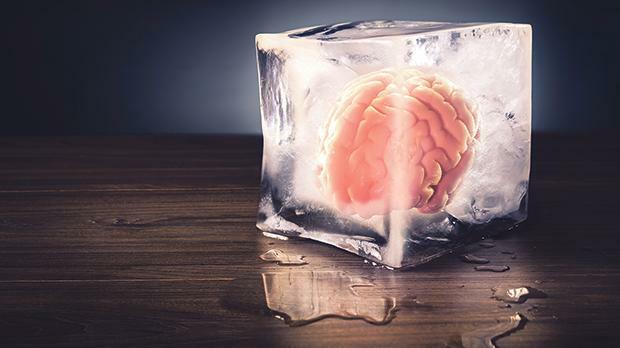 Although prices vary, KrioRus reports that a full body cryopreservation costs $36,000, while the brain will cost $12,000; meanwhile, Alcor will charge about $125,000 for whole-body suspensions, just the head will cost you $50,000. But who should we freeze, and more importantly, who will thaw you out? There is also no money set aside in case someone does find a wonder drug. But there are other issues aside from money. Let’s assume that you are related to Thomas Jefferson, the scribe of the Ameri­can Declaration of Independence who later served as the third President of the United States from 1801 to 1809. No greater histori­cal figure exists in the US. He was a polymath, great scholar of languages, music, philosophy and art. A great diplomat. An ideal candidate for posterity. Let’s also assume that when he died in 1826 he was able to freeze himself in a state of animation – cryonics. We also need to assume that we could cure him of whatever killed him at the ripe old age of 83 and hopefully also ease his constant migraines. Even with modern medicine, this is unlikely to be the case, as he likely had prostate cancer, suffered from chronic bouts of diarrhoea, and had late stages of kidney failure and pneumonia – things we do not have a cure for and would kill you to this day. But for the sake of argument, let us assume we could cure all these diseases and bring Jefferson back from the dead. Maybe Jefferson needs 24/7 care. Changing of diapers. He will need full physiotherapy for years to be sure. He might also quickly get infected with new bacteria and viruses that did not exist in his time. He might need to be isolated and segregated from the public. Perhaps he will get a cultural shock. Will he complain about politics? Will he be labelled as ‘fake news’? Will he complain about society’s fast pace? Will he tell me how to run my family, country, business? Perhaps the idea that he thought he was important enough for people to recognise your worth in the future was an indication that he was delusional, egoistical, psychotic even. Perhaps his brain was really alive for 200 years in solitary limbo, without any stimulation. Or perhaps he has come up with a totally transformative philosophy, one that will benefit human kind for centuries. Perhaps. Cryonics does not talk about these issues. Think about who will thaw you out and what their motives might be. What do you have that is so important that someone in the future cannot get it from their current population, or from other similarly cryogenic optimists? Cryonics is not a logical option to eradicate death but a psychological crutch for people to deny accepting the finality of death.